Mitakuye (my relative), I greet you with our traditional greeting, Mitakuye Oyasin – all things are related! 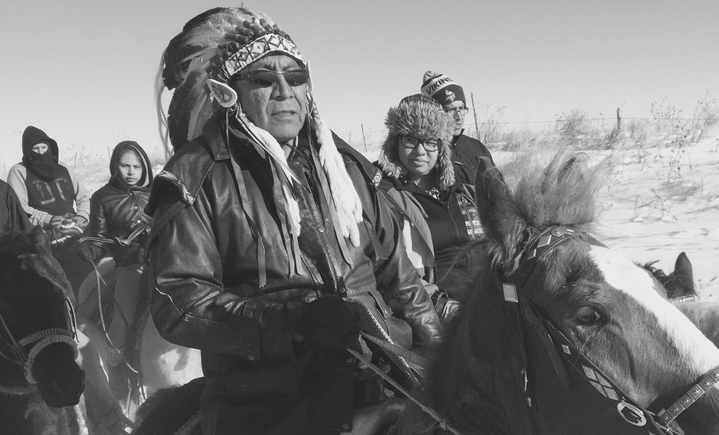 As Keeper of our Sacred C’anupa (Pipe) Bundle of the Lakota/Dakota/Nakota Nation, I address you from our original governance of our people, Woope – Creator’s Law. I am not a member of leadership under any political government, I stand in position as the center of our people, the voice of our traditional government, and so this communication is nation to nation, as indicated by our treaties. Additionally, we have over 300 flags of indigenous nations including other countries supporting our stand, because they are suffering as well. ! In our honor ways, when we leave this Unc’i Maka – Grandmother Earth, the only thing we truly own is our word. When you met with our people on your campaign trail in Sioux Falls, South Dakota, you stated that you are a lawyer and understand treaty documents. You told us that you realized our treaties were violated and you would address these violations against our people if you became President. This was your Word. You then took a photo of us together at that time and then I found out you used my photo for your campaign brochure, even without asking me. I accepted you as a man of his word and ignored people asking me if I gave you permission, because I thought you understood Woope - in keeping one’s Word. ! 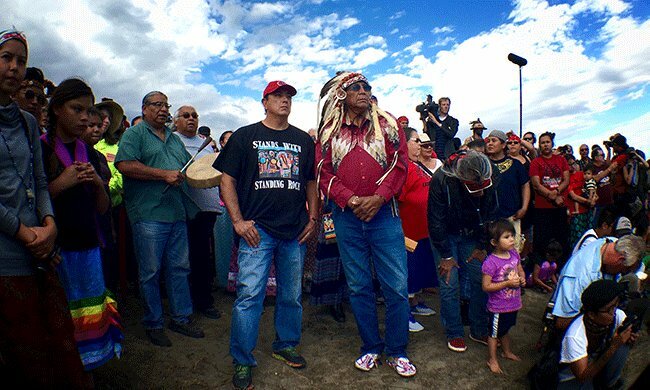 Yesterday, October 27, 2016, our Elders stood with their sacred items, including their sacred C’anupa pleading for sanity in a state of distress, and were arrested. Once we stand with our sacred filled C’anupa, we make a commitment to the Creator that we cannot break. We stand under the Freedom of Religion Act of 1978 with our Pipe of Peace and the Treaty of 1851. Our protectors had no lethal weapons, but we were met with an army of lethal weapons. In the middle of our water protectors we found a DAPL worker (infiltrator placed to discredit) who had lethal weapons, stating he was ordered to lay a pipeline, and he would shoot anyone to do just that… when asked if he was planning to shoot women and children. Yet media states he was one of our people, his credentials in his truck were from DAPL when the BIA police arrested him. ! 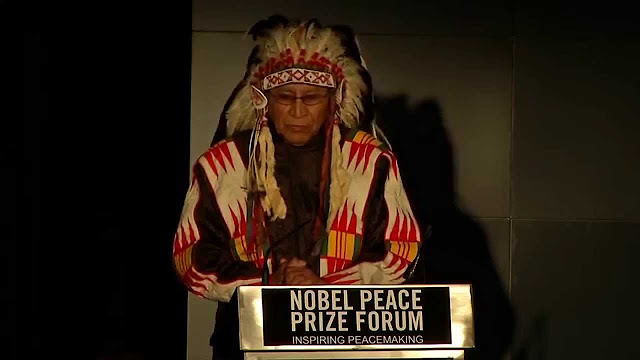 You are ignoring our pleas to use your time as President to move us toward sustainable development as fast as possible, because of our Mother Earth – our Grandmother Earth, is sick and has a fever. We as people that want to do Creator’s work to create these changes and are stuck with using oil, because it is all you have allowed to invest in to transport this country. ! It is time you stop this desecration of our sacred sites, which have been indicated by our Traditional Cultural Tracker, Tim Mentz. He has been ignored by DAPL, who now have police and National Guard’s protection as they continue to desecrate our sacred places. ! I would like to include a statement from our Traditional Elders Council: ! We are a part of Creation; thus, if we break the Laws of Creation, we destroy ourselves ! We, the Original Caretakers of Mother Earth, have no choice but to follow and uphold the Original Instructions, which sustains the continuity of Life. We recognize our umbilical connection to Mother Earth and understand that she is the source of life, not a resource to be exploited. We speak on behalf of all Creation today, to communicate an urgent message that man has gone too far, placing us in the state of survival. Not heeding warnings from both Nature and the People of the Earth keeps us on the path of self-destruction. 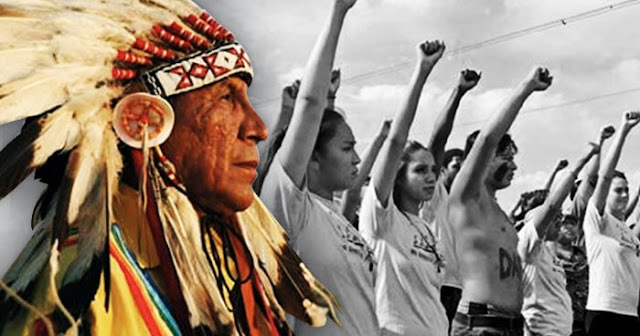 These self-destructive activities and development continue to cause the deterioration and destruction of sacred places and sacred waters that are vital for Life. ! We respect and honor our spiritual relationship with the lifeblood of Mother Earth. One does not sell or contaminate their mother’s blood. These capitalistic actions must stop and we must recover our sacred relationship with the Spirit of Water ! In a Sacred Hoop of Life, where there is no ending and no beginning! ! Onipiktec’a (that we shall live). ! Written by Nac’a (Chief) Arvol Looking Horse, 19th Generation Keeper of the Sacred White Buffalo Calf Pipe Bundle. 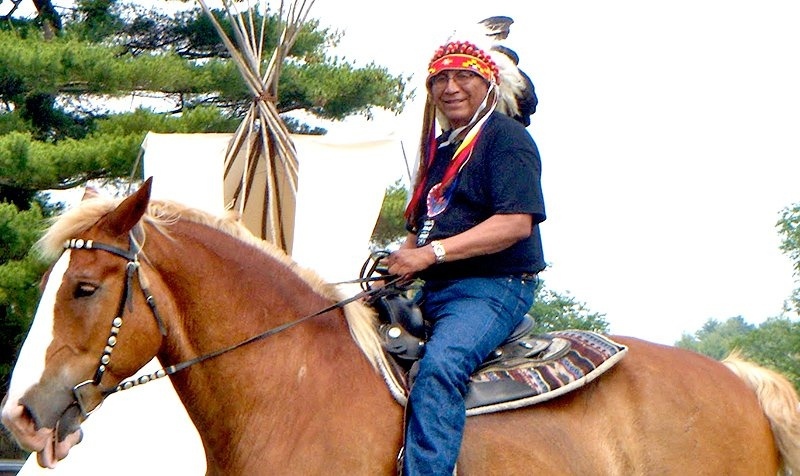 Responses to "Chief Arvol Looking Horse to Obama: Keep Your Word"
We are with you in our thoughts!